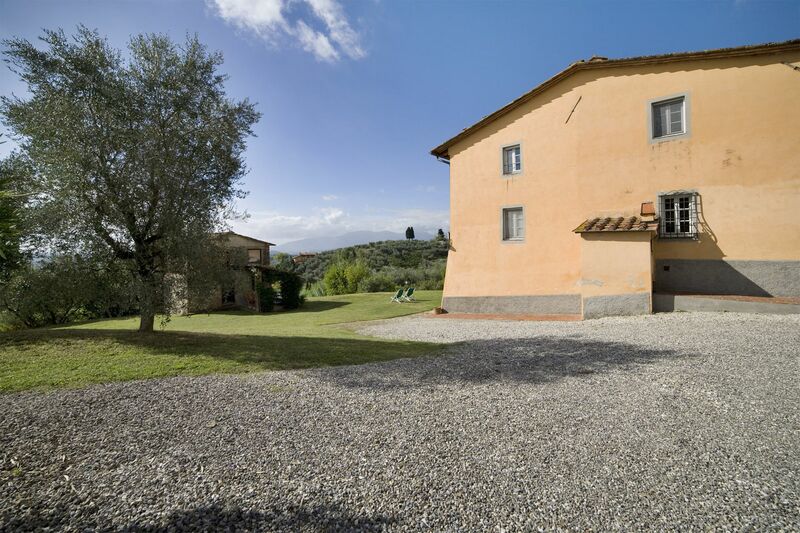 Teto belongs to the Fattoria di Fubbiano, an estate producing one of the most renowned wines of Lucca area. 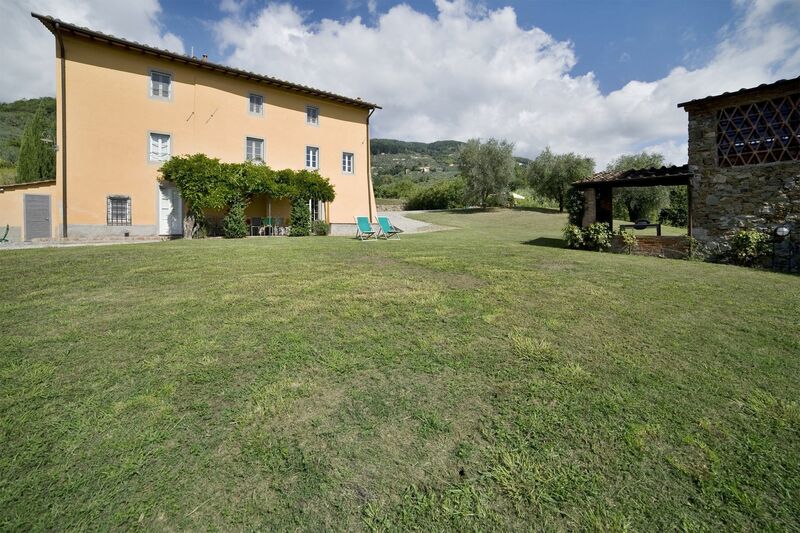 It is located in a sunny position, on the Eastern hills of Lucca, with wine cellars and acres of vineyards, olive groves and woods. 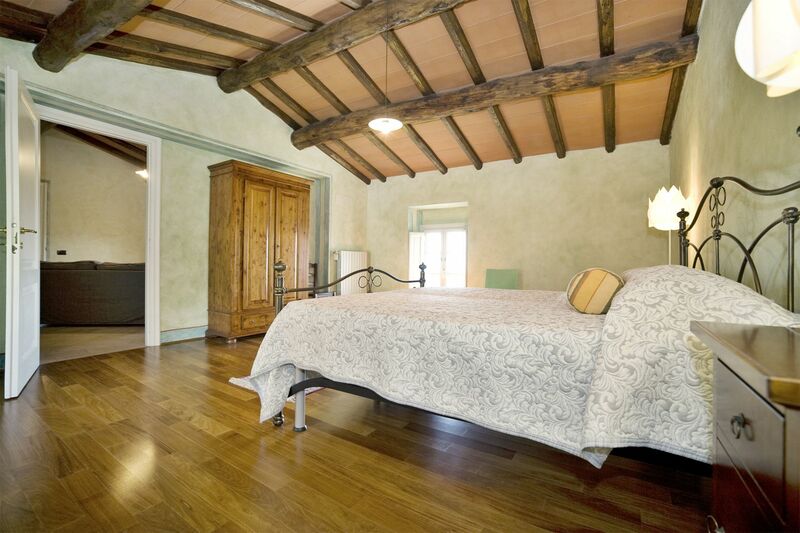 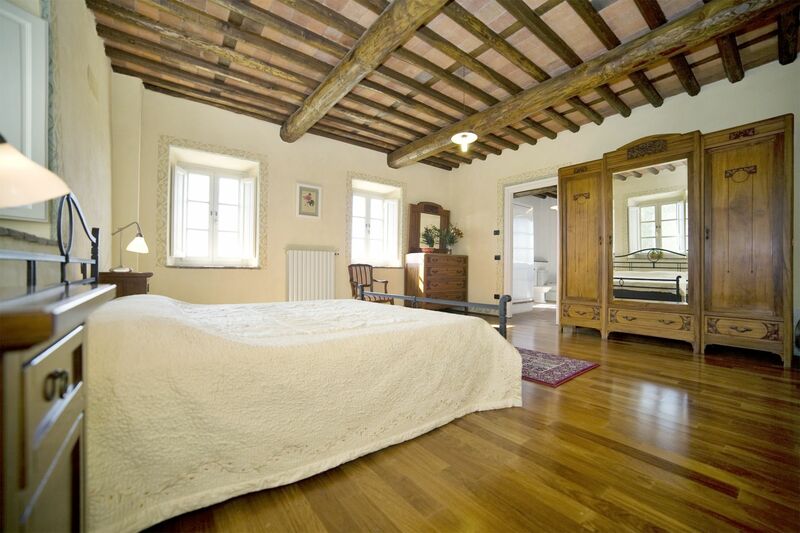 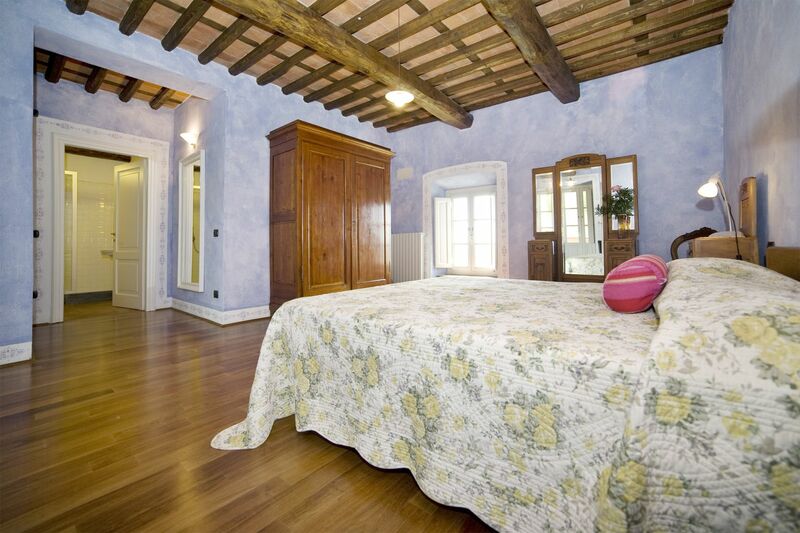 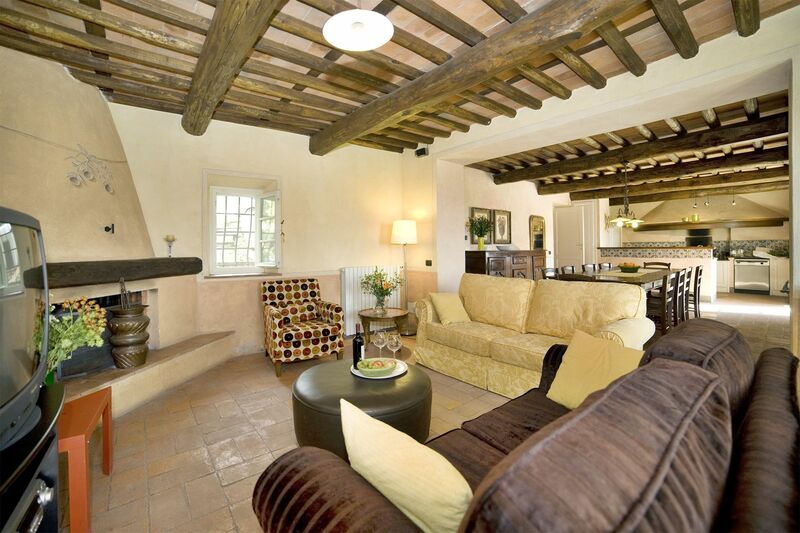 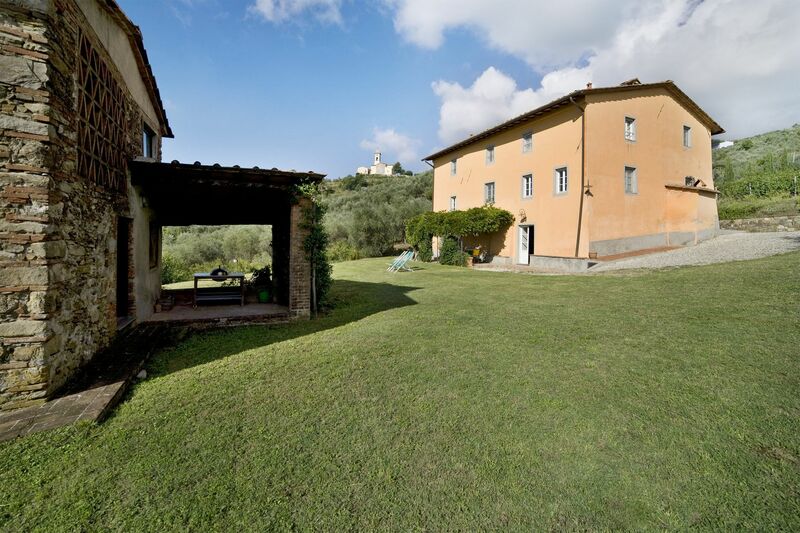 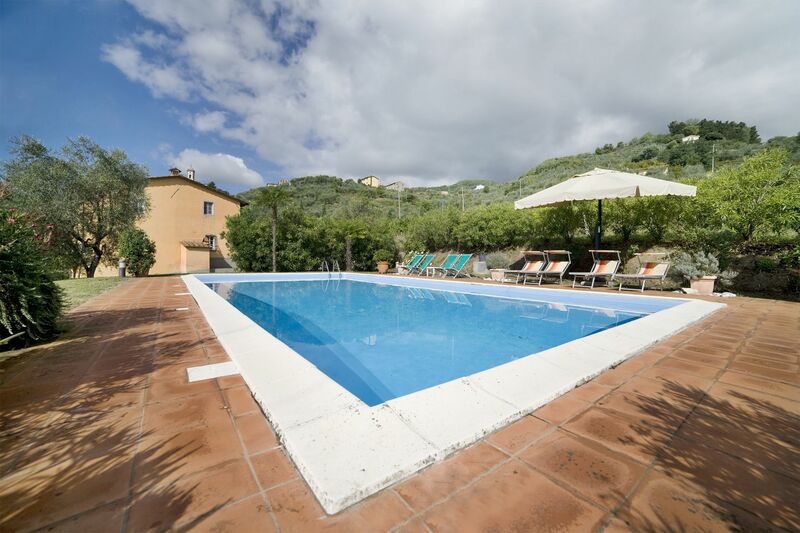 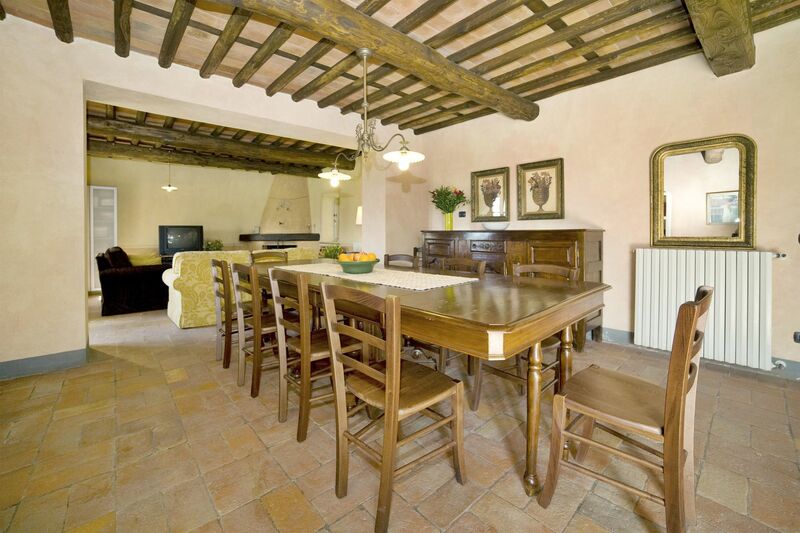 We have been renting here, for many years, two of the ancient properties belonging to the characteristic 'borgo': Fubbiano, the main villa, and Magrini, a restored farmhouse. 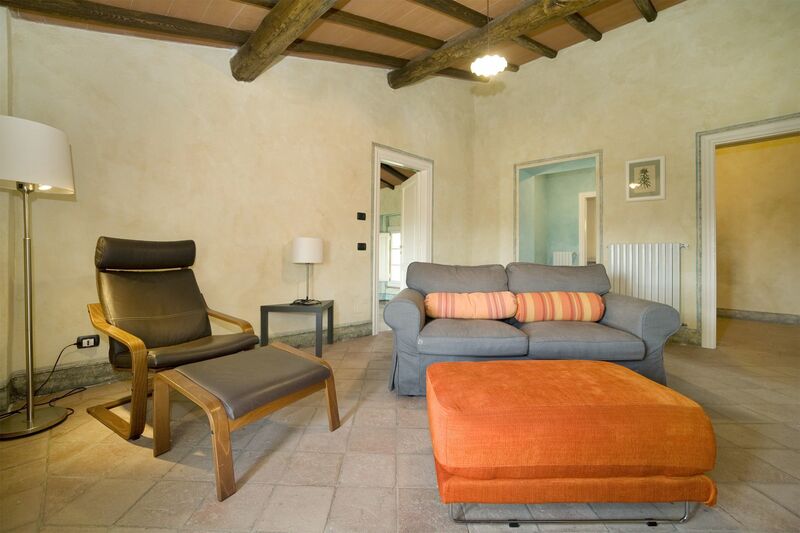 From season 2013 we are glad to add this third property, Teto. 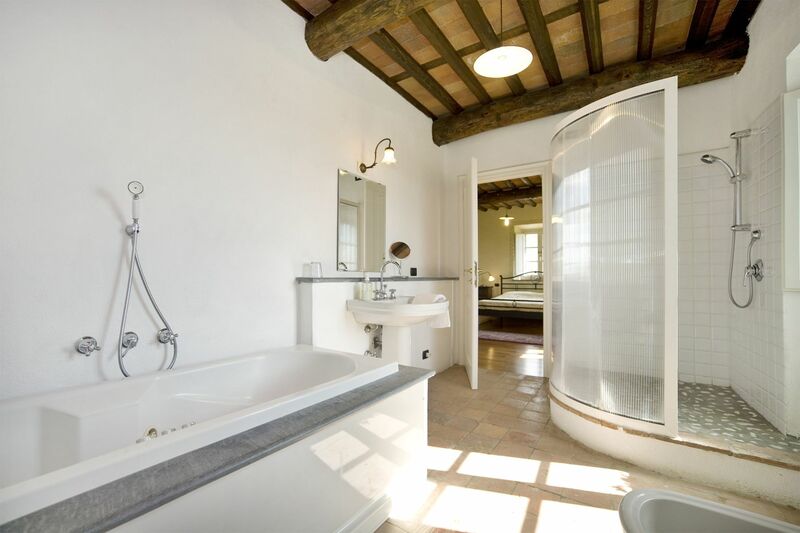 The house had been acquired years ago by an American, who totally restored and transformed it in a very comfortable residence for his family use. 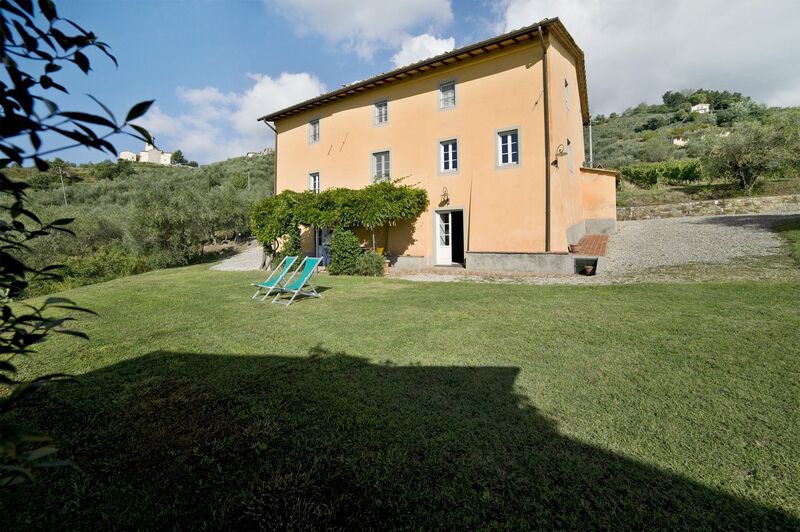 It has recently sold it back to the Fubbiano estate, that will grant same attention and care for making it a most enjoyable holiday home. 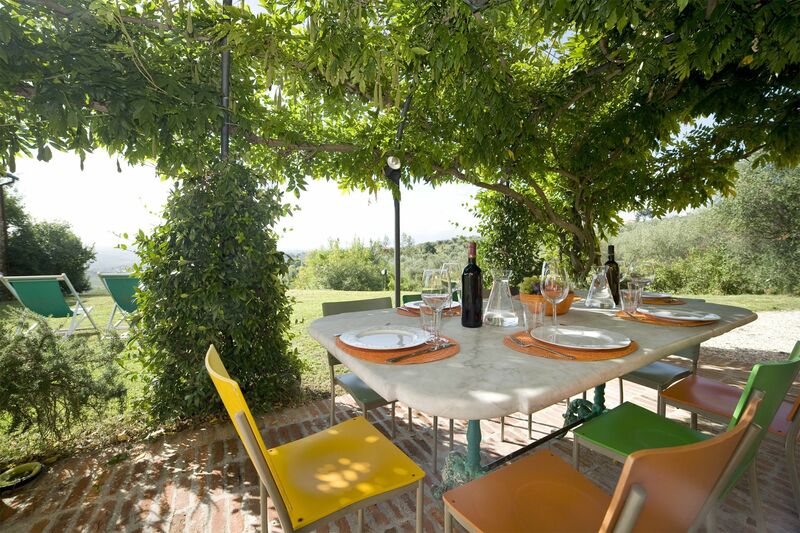 Idyllically situated among vineyards and olive groves this lovely house benefits of the proximity of the borgo, where the local office and the wine cellars are located, yet enjoying full privacy because of its secluded position on the western side of the estate. 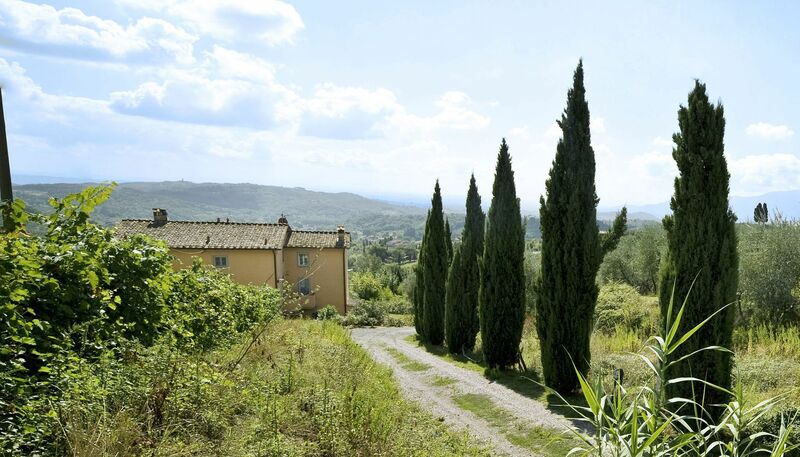 The views from the estate are the ones of the typical Tuscan countryside, with vineyards, tower bells and the plain of Lucca below and the Monti Pisani hills in the distance. 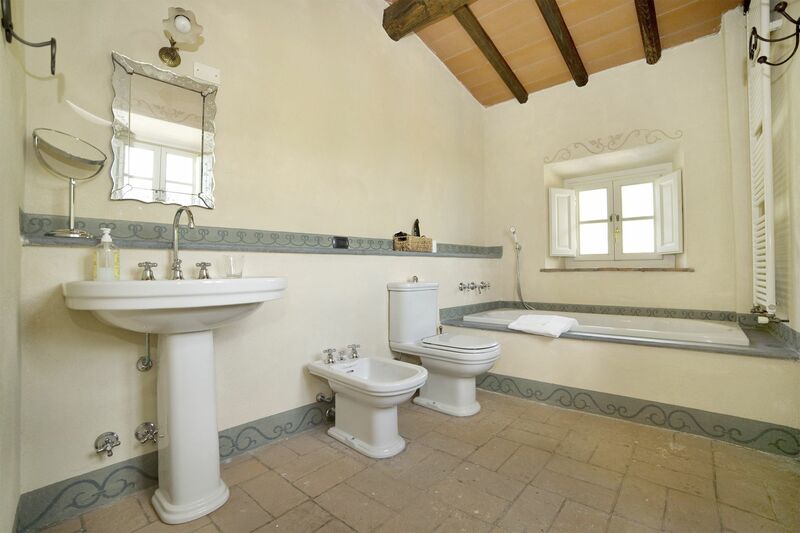 The interiors have been comfortably equipped and furnished in a delightful yet discreet country style and each bedroom has its own bathroom. 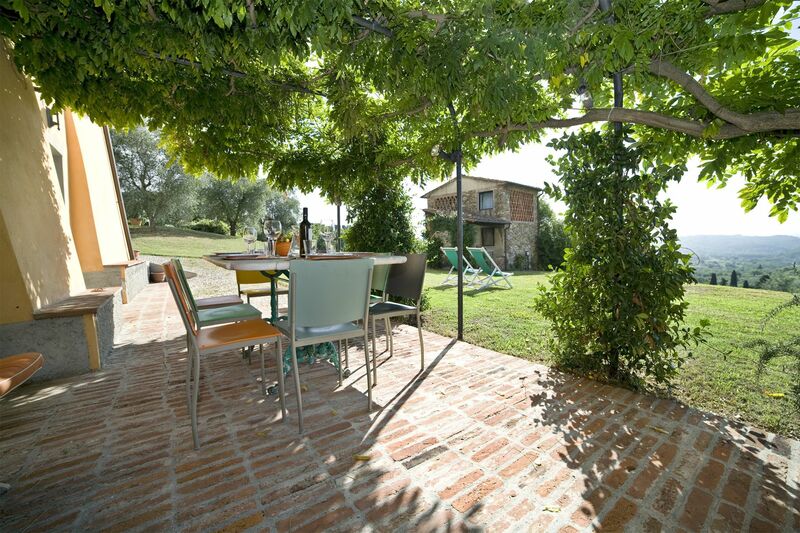 The exterior offers a peaceful and panoramic setting with a lovely blossomed garden where to relax and a nice pergola where to have outdoor meals enjoying the views and the quiet of the surroundings. 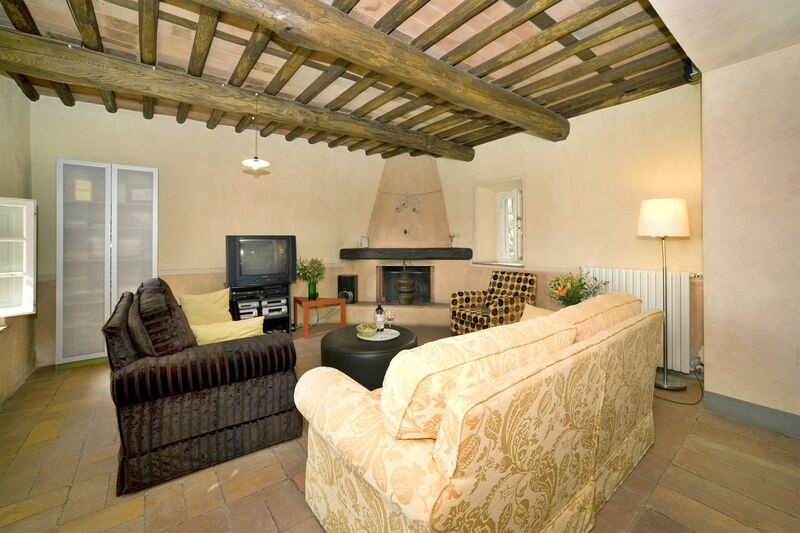 Kitchen/dining/sitting room with fire-place opening on to the garden and veranda; guest bathroom; laundry. 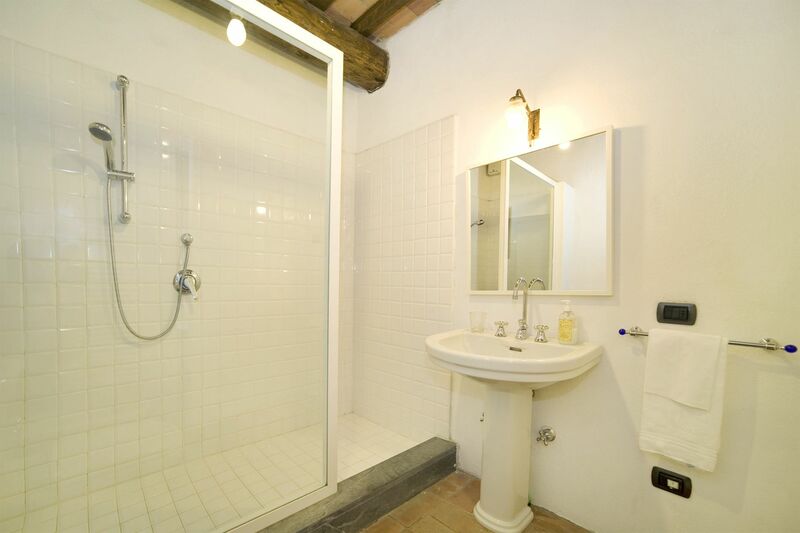 Entrance; double bedroom with en-suite bathroom (Jacuzzi bath and separate shower); double bedroom with en-suite bathroom (shower), opening on to a small terrace; single bedroom (more suitable for a teenager). 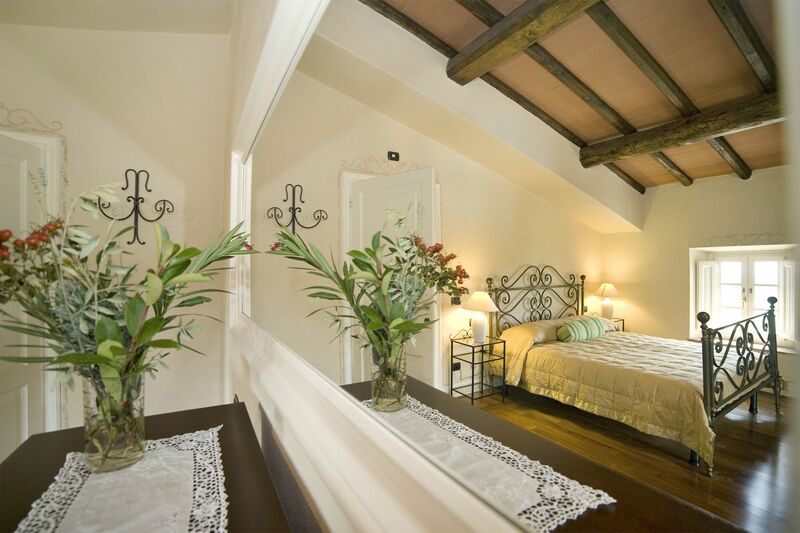 sitting room; double bedroom with en-suite bathroom (bath and separate shower); twin bedroom; bathroom (shower). 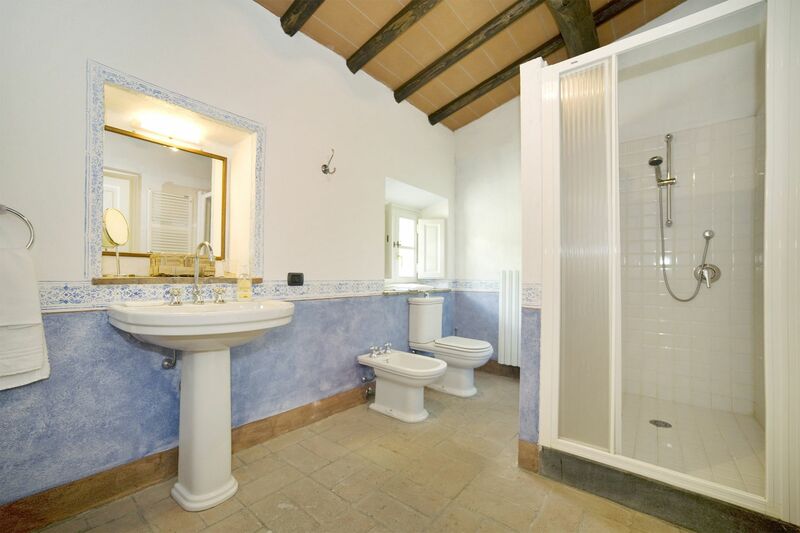 small sitting room; bathroom (shower).